FLOWERSBLOOMS by "Elvie": Paula Abdul's "LIVE TO DANCE"
LIVE TO DANCE is an American television reality program and dance competition on the CBS network. Dancers from all over the country auditioned for Live to Dance in "specially constructed Dance Domes". This program gave a number of people in the U.S., the opportunity to showcase their creative talent in dancing. 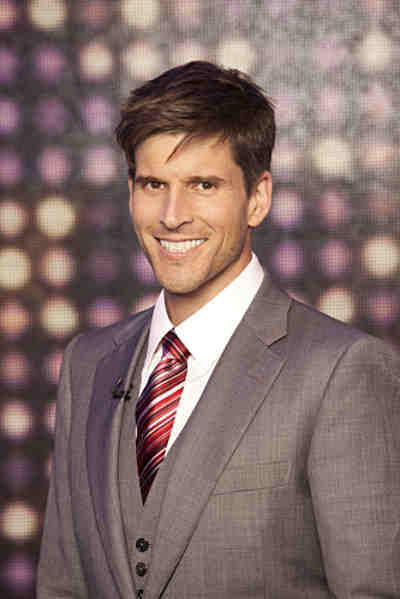 The show premiered on January 4, 2011 and is produced by dance choreographer, pop star and previous American Idol judge, Paula Abdul as lead judge with Andrew Günsberg as host. Aside from Paula Abdul, the two other judges are former Pussycat Dolls member Kimberly Wyatt along with Michael Jackson's long-time choreographer, Travis Payne The show is set to rival "So You Think You Can Dance" and unlike most other reality shows, allows dancers of all ages to compete.The show is an American version of the British dance competition Got to Dance. During its premiere in January 4, 2011, the show was watched by 10.2 viewers, the most watched program during those times. However, the rating went down in the succeeding episodes until only around 4 million viewers watched the Season's Grand Finale episode. Report said that CBS is no longer renewing the show for the next season since the rating went down. I hope that CBS will change their mind and give this show another chance. It is very entertaining and I love "LIVE TO DANCE" and see people use their God given talent in dancing. CHEERS to Paula Abdul's Live To Dance !!! 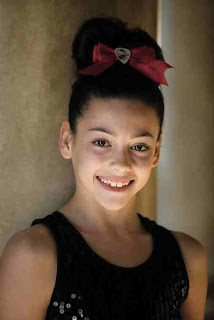 Kendall Glover from Phoenix, an 11 year old contemporary dancer is my No. 1 favorite. The only soloist and America's final vote into the finals. Kimberly says that Kendall is a powerhouse performer, and her strength and control are incredible. Paula admires her athletic prowess, and her commitment to her routines. Travis says that he can't wait for what the future holds for Kendall. All three judges give her a Gold Star. She got the First Runner-up title in the Final. Kendall...An amazing young performer ! She is so cute ! D'Angelo and Amanda, a ballroom duo from Miami got three Gold Stars. 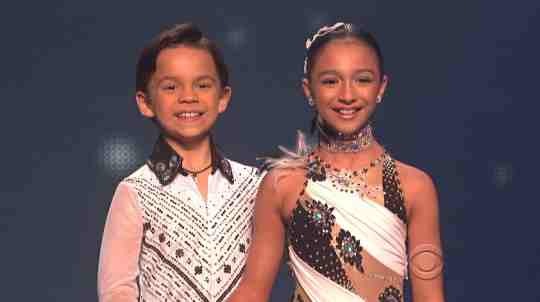 Travis says they are the future of ballroom dance, though he did not like their choice of music for their tango. Kimberly loves that they perform with a winners' mentality every time. Paula says that they are mesmerizing with D'Angelo's strength and Amanda's beauty and their technique put together. The young ballroom dancers with Paula Abdul. D'Angelo and Amanda were crowned as "Live to Dance" winner with a cash price of USD 500,000. The ballet duo from San Francisco, White Tree Fine Art is a husband and wife team. Kimberly says that everytime they are on stage, they create a fairytale world. They use their strength and beautiful lines to create magic, and she gives them a Gold Star. Paula compliments their strive for excellence each time they are on stage, and gives them a second Gold Star. Travis says that he is now a believer and loves them. He finally gives them a third Gold Star. "Celebrates the world of contemporary ballet"
The Vibe is a large contemporary group from Utah with 38 members. Paula praises their technique in many styles, including ballroom, hip hop, and gymnastics. She cautions them to remember that less is more; they do not all have to be on stage at once. She gives them a Gold Star. Travis says that it felt too busy on stage, like there was too much to see, and they needed more peaks and valleys in the piece. He gives them the first Red Star of the evening. Kimberly thinks that, for a large group, they were clean and solid. She gives them a Gold Star. Twitch is a contemporary group from Miami. Travis is excited about their performance, and thinks it is a perfect way to start the show. Kimberly praises the diversity in their routines and their superb training. Paula admires how their edginess complements their technique. Twitch receives a Gold Star from the three judges. 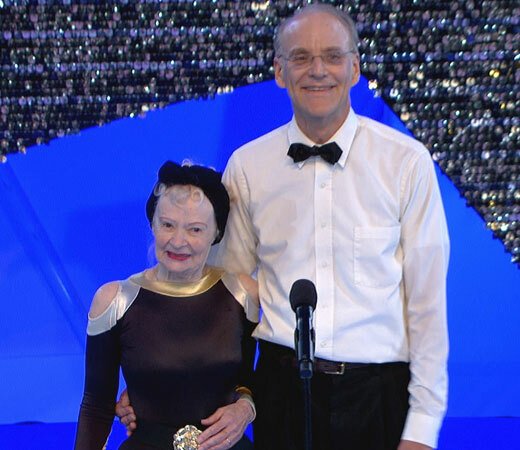 I would like to pay tribute to an extra-ordinary, young at heart couple from Woodland Hills, CA, Beverly Polcyn, 83 and Hap Palmer, 68 for their funny and entertaining performance. They did a variety of moves and Bev even did the moonwalking. They are an inspiration. This couple made it to the semifinal. Paula Abdul after their performance said "You two exemplify what dance is like and what it does to your spirit, what it does to your soul, what it does to your mind, what it does to your body, what it does to the entire world." The young-at-heart couple started out slow dancing to "Moon River" and then kicked it up a notch to James Brown's "Get Up Offa That Thing."